The secret to a successful business lies in the satisfaction of its patrons. If you cannot encourage your customers returning to entail your services, you may undergo continuous loss in no big time. Especially in restaurant businesses, it becomes mandatory to satisfy the customer more than their expectation to see the same faces coming back to enjoy the food and service your restaurant provides. It is likely that there could be many loop holes at the beginning when you start any business as it requires a group of devoted people who work with full dedication to deliver the best but there are no excuses in the restaurant industry and you need to become near perfect to let your business bloom. Here are few things to consider in making your restaurant a favorite place for the existing patrons and at the same time fetching other new valuable customers. This is one thing customer look for. If you want to succeed with your business, you will have to maintain the highest quality of food, no matter how big or how small your business is. If you cannot satisfy your customers in this aspect, you may never see them returning to your restaurant. Compromising with food quality in your restaurant may annoy the customers and they may even spread the word across their circle and you will be losing future patrons too. Even if you do not set up an expensive fine dining restaurant, you may take adequate measures to maintain a level of food quality and not compromise with the health of your customers. To deliver quality food, make sure to follow a rule to rotate the food by using the FIFO (First-in First-out) method. This will save you from using expired products unknowingly. Proper labeling with the correct date ensures use of safe products while preparing the food. Apart from this, it is noteworthy to maintain cleanliness while preparing food and avoid any cross contamination of germs and allergens. Before serving, ensure that the food is in right temperature for your patrons to consume. The ambiance or the atmosphere plays a vital role in customer satisfaction. If your do not maintain certain standards of ambiance, you may not find your customers returning to pay for your services. 1. Consider each and every corner of your restaurant and ensure that it is perfect at all places, even the outer appearance and the parking area matters. Dirty and unmanaged parking lots may deviate lot of customers who were willing to visit your restaurants to other clean places even if your food tastes good. 2. 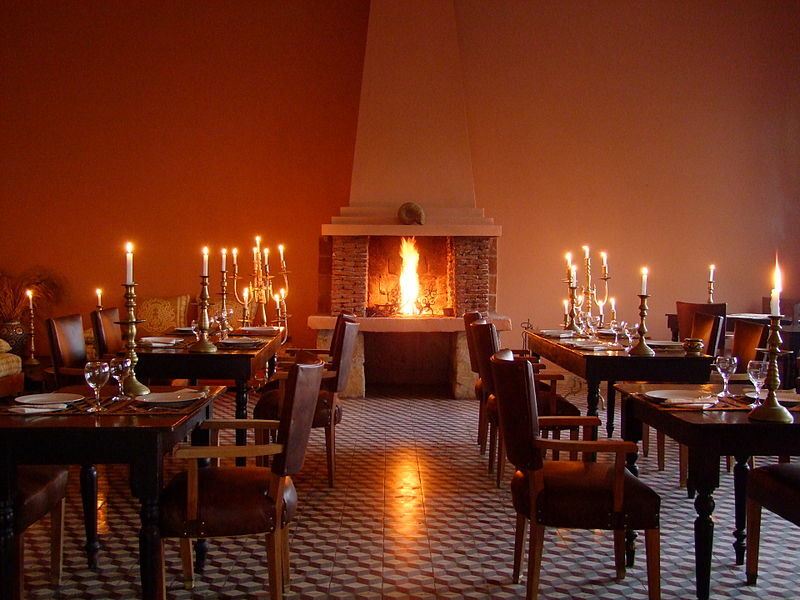 Maintaining the correct temperature in the dining area is another factor to consider for providing a top notch service. Decorate your interiors with proper lighting and unique items. A light music may add up to the overall ambiance of your restaurant. 3. Hire proper employees to maintain cleanliness at all times in and out of the dining area, parking lots and the kitchen. Regular cleaning is always visible to guests and they will like it more that the food. If good food is not served properly in a clean manner, it may not seem appealing to the customers. Customer service is equally important to bloom any business and you need to take extra care in this field. Customers are overwhelmed with proper service along with good food and clean atmosphere. People tend to go to pricey restaurants not because of food but because of great quality of services offered by them. So even you have average decor and atmosphere, a good quality of service and care for your guest may lay a good impact on them. If a customer is not satisfied with the services, he just might not only make a complaint of it, but will also avoid your restaurant in future. This will pull back more guests who would be visiting your restaurant with the same person over a period of time. Therefore, a bad service to even one of your guests may prevent a dozen more guests from coming to the restaurant. Proper food serving etiquette helps in making your restaurant at the top of others. People tend to avoid the quick service restaurants just because of lack of proper services and food serving etiquette’s, no matter even if they deliver good food much cheaper than the mid scale or expensive fine dining restaurants. People opt for the other two just because of excellent food serving methods and care for customers. Though every upscale restaurant emphasizes on high quality services, they are too pricey for regular eaters. Such patrons look out for mid scale restaurants which offer good food with excellent services at an affordable cost. Thus, teaching etiquettes on to the employees on how to serve food and clear table adds value to your restaurant. Never discriminate among the guest with regard to services offered, this is easily visible by them and may put a bad impact on your business. Each and every guest is valuable and so is their feedback. Customer feedback form or comment cards are the best way to get hold of any irregularities in your business. You may print them in advance and deliver them you your guests at the end of their meals. They may rate the overall experience, services, quality of food, pricing and ambiance. This will help you to know if you need to work harder in any of the fields. Maintaining all the aspects to establish a successful restaurant may seem difficult but these are extremely essential to provide top notch services and quality to every customer. Since this helps in maintaining long term relationship with the customers, it may benefit you in driving more people towards your business over and over again.